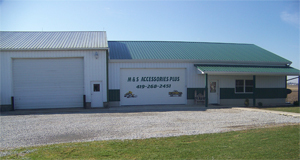 M&S Accessories Plus, LLC is a One-Stop Body Shop for the finest quality in automotive repair. We provide dent repair, auto glass repair, painting, and collision repair for any vechicle. Here at M&S Accessories, providing exceptional customer service is our most important concern. We minimize our customer’s inconvenience after a collision by assisting with any repair related details, providing the highest quality parts and materials available and superior workmanship through highly trained technicians. We work with your insurance adjustor to get your vehicle fixed in a timely manner. Foreign/Domestics – All are Welcome! We are a One-Stop Body Shop! !